In the current fast paced, competitive economy, it’s important to outshine your competitors. Today’s world is all about image, and never has that been more important in business. Not only do businesses need to be priced competitively and offer great customer service they need to look the part. Building trust with your brand starts with your business print. It lets your customers know that you’re serious about the services you’re offering them and therefore inspires confidence. Build your brand and reputation with high quality printed products that suit every budget. You'll find everything you need to show the world you really mean business. Offices, like Solicitors, Accountants and Financial Advisors, tend to use these items in bulk to keep in touch with their clients in a professional manner. In this product range we have products to suit every business, why not stay on top of your invoicing with NCR invoice pads, or invest in some name badges for your counter staff. Do I need to order large quantities? Our aim is to make business print cost effective for every business no matter what size or sector. All of our products in this section are available in large or small runs. With runs starting at 100 units and taking only 2-3 working days to produce, you need not look any further. Success comes from showing you really mean business, and there's no better way to do that than with your business stationery. Every time someone receives your business card, opens an envelope, sees your letterhead or gets a gift with your compliment slip attached, they form an impression of both you and your business. Having professionally printed work, with well-designed logos, branding and smartly laid out text, tells the world that you take pride in who you are and what you do. You are the kind of company that can be trusted to do a good job, and that your brand is worth remembering. Many people and businesses now prefer to deal with companies who can demonstrate their concern for the environment. With all our printed products you can promote your Eco and Environmental credentials as Face Media Group itself is an ethical company that uses only the most modern and ecologically sound printing methods, and our paper and cardboard stock is either fully recycled or from environmentally sustainable sources. 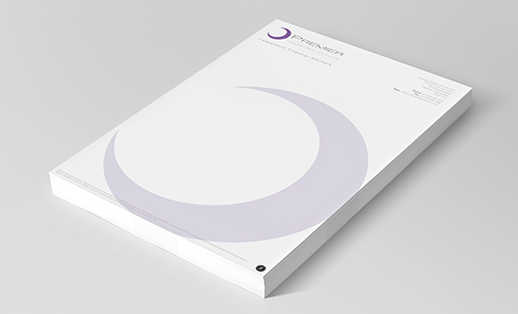 We can even help with the design of your business print. Our professional graphics team are available to help you create the branding and designs that will make the best possible impression. With reference to sample packs - I can't thank you enough. You have sent through everything we required and more! Just what's needed for our customers to get a better feel for the type of products we can supply through Face Media Group. We like to pride ourselves on going out of our way to meet our client's expectations but sadly it is very rare that we get the same service in return. I can see you have taken time and effort in arranging these samples for us so many thanks from all of us here. Firstly, thanks for the sample pack. It made deciding much easier and i could see that the CC Flyer would make a good bargain business card. I would have been dubious about that, had I not actually has a sample in my hands. Also I was pleased with the very prompt arrival of the sample pack. Ordering - I ordered my business cards, in CC Flyer format - And am delighted with them in every respect. Also they arrived very speedily. Friendly phone contact sorted out problems very quickly with the artwork I had sent. And within a very few days of making the order, I had my box of cards. They arrived in good condition. I was impressed also, not just with the friendly and helpful attitude of the people in phone contact with me, but also their commitment - they were there until at least 6.30pm and were keen to get my order onto the print run as soon as could be achieved. Having only just started in business - I haven't used many printers before. But at the time of ordering with Face Media Group, I simultaneously ordered from 'Cards Made Easy'. Again your sample pack made it easier to decide because I decided then that the thicker 300gsm version was not what I wanted for the DL flyers - So I ordered from 'CME' instead. : Also so as to get an idea which company might be my best bet for future orders. WELL, Face Media Group has won in this particular comparison excercise - because it is much, much faster than 'CME' and Face Media Group didn't put pressure on me to go for a more expensive delivery option. The quality of Face Media Group's products was better too. Specially with regard to both definition and colour. I think I've said it all above. I'm very pleased with the service. Thank you. 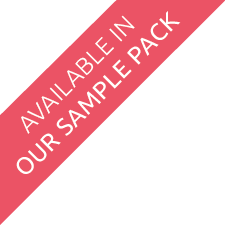 The sample pack was excellent; firstly it makes a welcome change to receive one when requested as some other companies have ignored my repeated enquiries. I was interested in the laminated business cards as our current set of cards are dull, badly cut and finished with a horrible laminated feel - rest assured we'll be ordering from Face Media Group when I actually get round to designing some! In addition, I ordered a poster print this week from Face Media Group which I needed for Friday, assured that you would do your best to get it to me by then. In actual fact it turned up this morning (Thursday) which apart from anything else has given me a day less to fret about it. Previously we used Vista Print for our business cards, due to their high ranking on Google Adwords, but as I say the quality was dreadful. I have also used Service Point UK and DalePrint for occasional print jobs, both of which produced good quality, reasonably inexpensive prints. Service Point have the advantage of being local to us, however this is not such an issue in light of your prompt turnaround and delivery. Animal have been using Facemediagroup for a number of years now and they consistently produce good value top quality print quickly and efficiently. Their customer service cannot be faulted. As a company we would always recommend Facemediagroup.